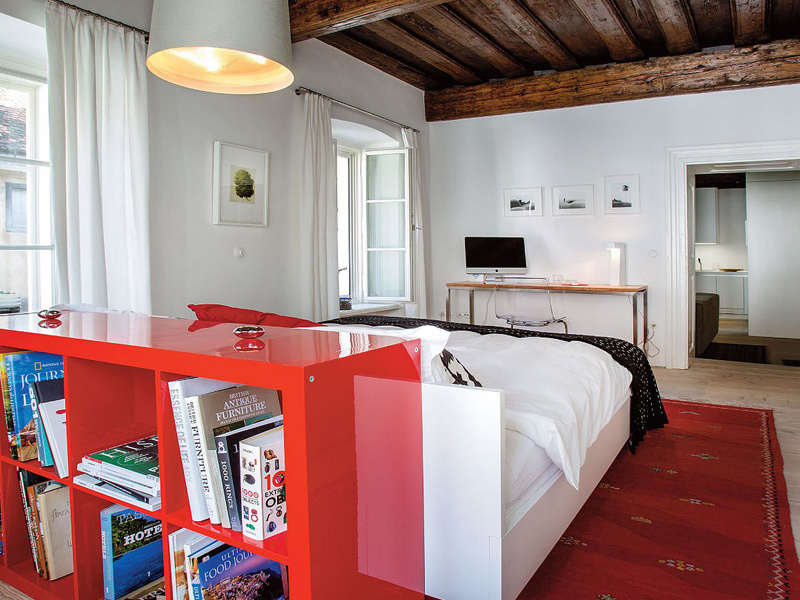 Escape the crowds and hole up with someone special at these beautiful European boltholes. Sublimely romantic yet under the radar: our favourite combination. 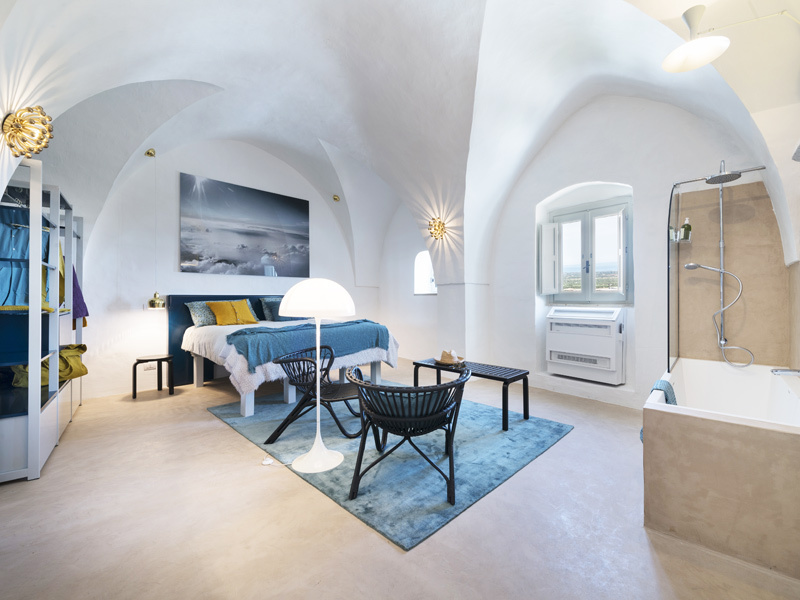 This dreamy bolthole is tucked high in a grand 17thC tower house in historic Ostuni, our favourite Puglian hilltown. Gloriously romantic in every way, it’s an open-plan apartment with breathtaking views from its private roof terrace; the perfect spot for Aperol spritzes as the sun goes down, and magically lit by fairy lights at night. The modern décor is full of fun quirky touches, and a personalised map by owner Caroline highlights her favourite local restaurants. Top tip: For a flavour of the region, walk or drive through the rolling countryside nearby, interspersed with distinctive trulli and olive trees twisting around dry-stone walls. For idyllic privacy and fantastic walking straight from your door, this gorgeous cottage in County Durham is unbeatable. 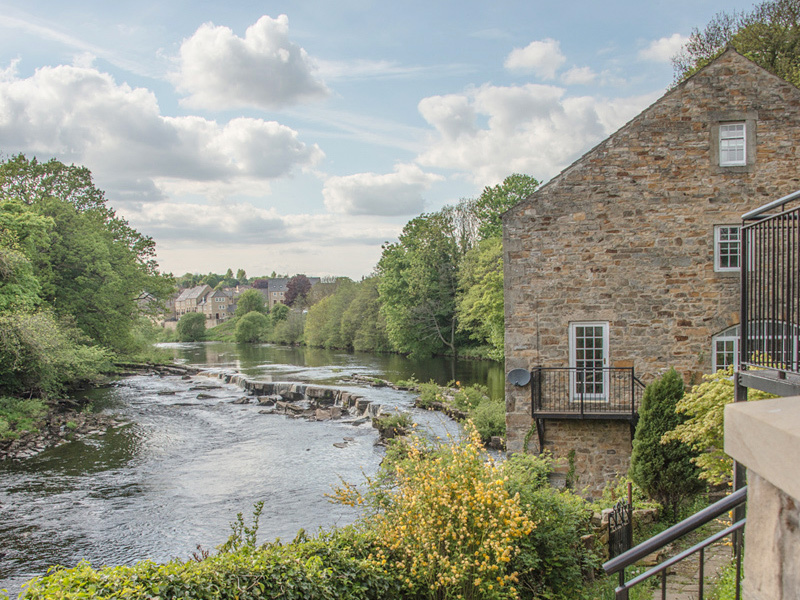 You’re secluded away on the banks of the River Tees, with sweeping views from the light-filled conservatory and sunny terrace. Indoors, there’s home comfort and understated style, including a decadently large bedrooms for lazy mornings. There’s a market town (Barnard Castle) 5 minutes away for pubs and pottering, but it’s the walking you’ll remember here: through bluebell-filled woods and across the mighty Northern Pennines. Then home to light the wood-burner and try the homemade sloe gin. Top tip: High Force waterfall (21km) in upper Teesdale has a spectacular drop, just 10 mins’ stroll from the car park. If stargazing from the comfort of a kingsize bed sounds like heaven, head to Devon. On the edge of Dartmoor are 2 utterly romantic shepherds hut hideaways (far apart from one another). 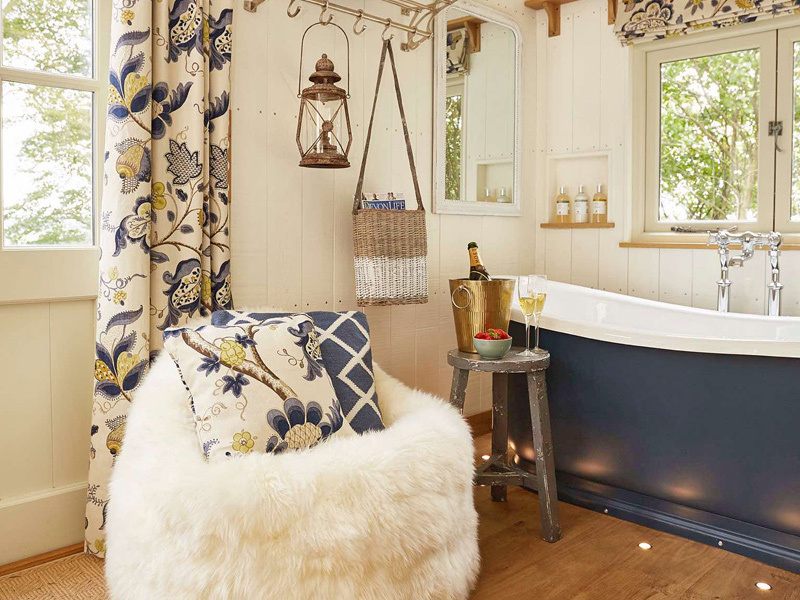 Each has beautiful hand-crafted interiors with a rolltop bath and high-spec kitchen; sheepskin rugs and a log burner keep things cosy. There’s an honesty shop with very good home-cooked meals (Moroccan spiced lamb; rich chocolate torte), and you get free rein of the National Trust estate you’re hidden in. But we spent hours just sitting by the firepit, gazing over the lush Tamar Valley and relishing the peace. Top tip: Drive to Spitchwick on the banks of the River Dart – a lovely wild swimming and picnic spot. This is a perfect place to do very little – sleep late, eat breakfast at 11am, have a massage, swim laps in the sunshine. 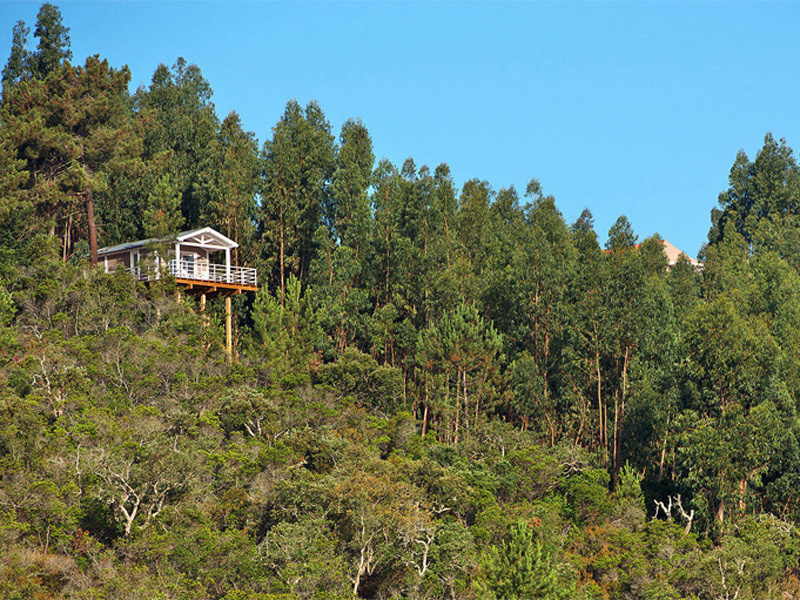 It’s a hilltop retreat in the Alentejo countryside that has a homely vibe and fabulous rooms: book a bungalow in the eucalyptus forest for total privacy. The organic kitchen garden provides ingredients for Glenn’s delicious home-cooked dinners or head to a brilliant local fish restaurant for panoramic ocean views. 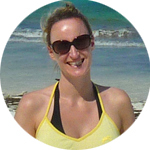 Top tip: Walk or bike along the Rota Vincentina, past ravishing wild Atlantic beaches. Ljubljana is one of Europe’s most-romantic small cities, with cobbled streets and pavement cafes winding along an emerald-green river, red rooftops pointing up to the castle. It’s especially idyllic in winter, all wrapped in snow and ice. This chic haven-for-2 is in the old town overlooking Fish Square, which is lined with stylish eateries. Inside, décor is contemporary, comfort is key: the bed is a marshmallow of comfort. Top tip: On arrival, throw open the windows, flood your home-from-home with music (there’s a Bang & Olufsen media centre) and tuck into the bottle of wine and chocolates; a welcome gift for booking through i-escape! This is the ultimate in romantic seclusion: a pretty little casita for 2, secreted away amongst sand dunes and umbrella pines near Tarifa. The open-plan interior is rustic chic with Moroccan flair, but the cottage’s main draw is its fabulous wraparound terrace, with loungers and panoramic ocean views. 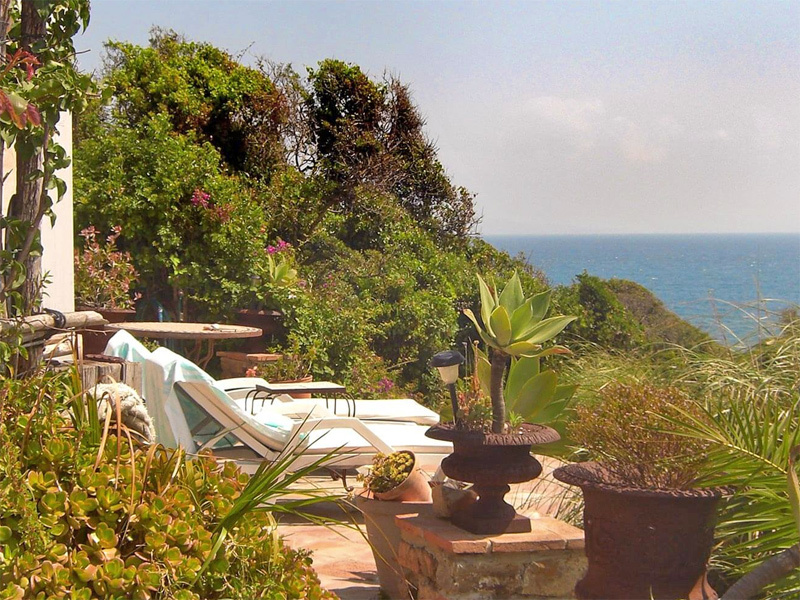 Sunbathe in total privacy by day; light candles and stargaze at night. Top tip: Owner Mei Ling has a couple of Andalucian horses for guided or independent hire. Ride along the beach to Bolonia, where you can break for beer and tapas. 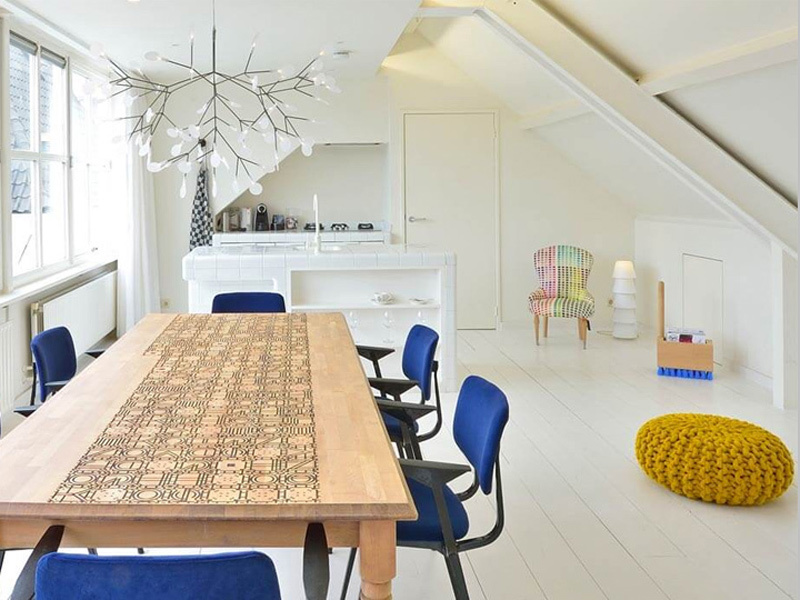 Seriously hip and utterly unique, this penthouse apartment sits above an iconic fashion and design emporium in the heart of historic Amsterdam. 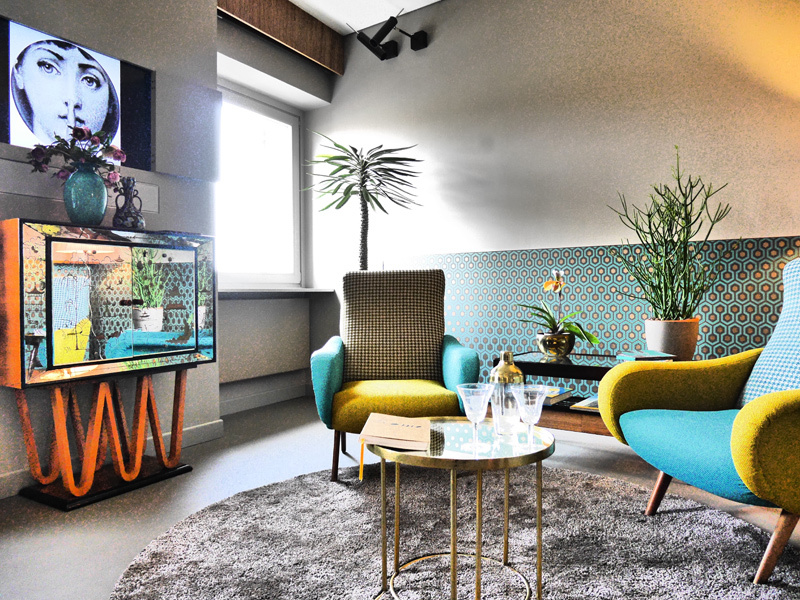 As you’d expect, the décor is fabulous, a colourful collection of signature pieces and prototypes. A Coco-Mat bed dressed in Yumeko linens is the icing on the cake. It’s not as expensive as you’d think, and the rate includes breakfast in downstairs Café Droog. Top tip: Don’t miss the quirky magical garden, a mix of real and faux plants. 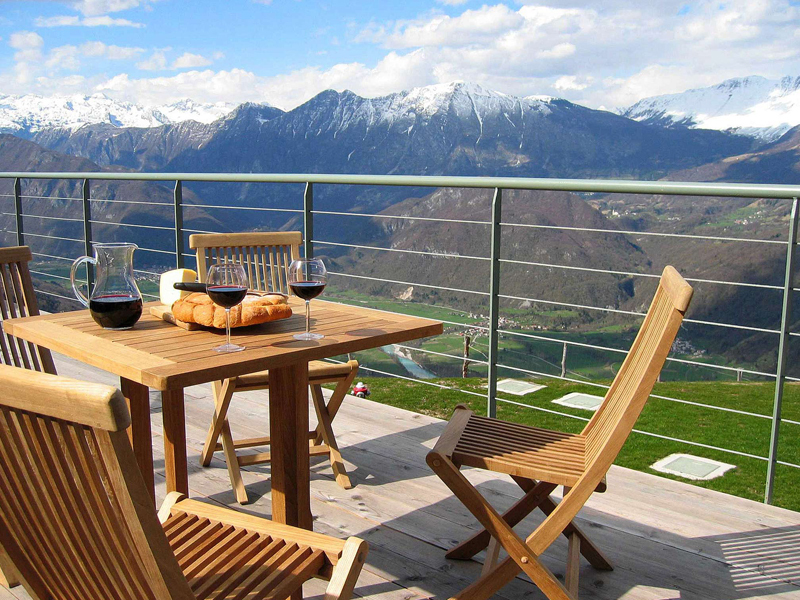 Another bolthole that’s all about the views is this romantic mountain retreat of 4 chic chalets. Perched high on the mountain in the clouds, we awarded it 10/10 for staggering panoramas. The nearest neighbours are 1km away, and the silence is absolute. If you can tear yourself away from your glass-walled chalet or sunbathing on the terrace, an L-shaped building houses a wellness centre. ‘Nebesa’ means heaven; a perfect name for this place. Top tip: You’re a short drive from sister property Hisa Franko, Slovenia’s best gourmet restaurant, which dishes up beautifully presented food in small taster plates – probably the best meal I’ve ever had. Nowhere says ‘romance’ like Verona, and this riverside suite is as romantic as it gets: open-plan and elegant, with vintage 50s furniture and a show-stopper of a bathroom. Don’t just stay in and relax though; this is the perfect base for exploring. Hidden away on a pretty cobblestone street in the old town, you can pop to the bakery for morning pastries, stroll over the river to ‘Juliet’s balcony’ and medieval Castelvecchio, then return to authentic neighbourhood restaurants for dinner. Top tip: There’s a bike-hire shop on the corner: explore independently or take a guided city tour. Those who appreciate clever design will love this unique new bolthole in the heart of the Marrakech medina. 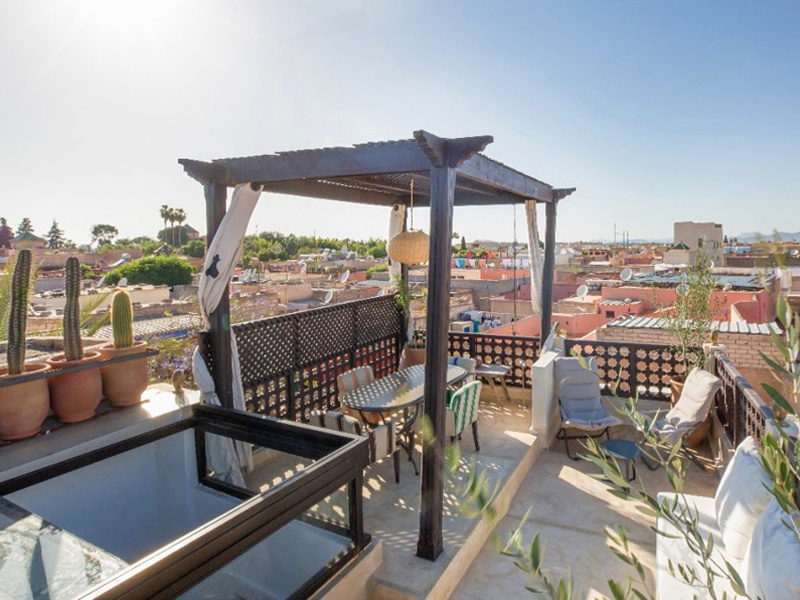 Thoroughly modern on the inside, authentically Moroccan on the outside, it’s a 3-storey townhouse with a stunning central lightwell and lofty roof terrace. It sleeps 2-4 in 2 kingsize bedrooms but we’d book it just for 2; super romantic. Staff from the neighbouring sister riad will bring you delicious breakfasts (included in the price), plus tagines for dinner if you ask nicely. And after a morning’s haggling you can use the riad’s pool to cool down before retreating to your private house. Best of both worlds, and superb value for all that space. Top tip: There’s a traditional neighbourhood hammam next door; a real insight to local life. Ask for a gommage (a thorough wash from the attendant using a rich olive-oil soap).